As 2017 is coming to a close, you have set a New Year resolution to achieve next year: be an entrepreneur and create your own startup. You have couple of great ideas as well as the passion to turn them into reality. You even have compiled project proposals and contacted potential investors who would support your dream. While this might seem like a perfect plan to execute, here’s the bigger catch: leave your stable job and become a full-time entrepreneur is not just an easy feat. The idea of launching your own business seems appealing for anyone, especially young-spirited generations such as Millennials. However, it should be noted that not everyone is suited to be a leader. Rather than gambling your hard-earned career and regretting the decision later, it will be better to notice your own leadership capabilities first. Being an entrepreneur means that you have to get ready for roller-coaster experience along the way. Flexible attitude to deal with unexpected changes and challenges is a must-have value for everyone who wants to succeed in their entrepreneurship journey. If you tend to find comfort in a flat environment with smooth movement, you might not be cut out to be a businessperson. Being a leader means that you would be responsible to make all business-related decision. You might be able to hire consultants and ask them advices, but in the end, the decision is yours to make. As an entrepreneur, you will have a lot of things to decide. Be it product placement, office location, employee recruitment method, or target customers, you should be able to make the right decision that will bring your business move forward. If in the beginning you are not confident enough to make important decisions, chances are, you will find more difficulties along the way. Entrepreneurship is tough, and you should be prepared to give your all. Despite every resources you might have on hand, there is no guarantee for success in the future. When you leave your job to realise your dream of creating your own brand, the process requires a huge willingness to take whatever risks it might bring in the future. However, if you have zero tolerance to risk and tend to play in your safe zone, you might need to rethink your intention to build your own startup. As a new entrepreneur, it is true that you might not have experience level as Mark Zuckenberg or Jack Ma. However, not having adequate business knowledge and organisational skills will bring your startup nowhere but the downhills. Before creating your own business, you should support yourself with basic business, marketing, and accounting knowledge. Even if you do not have formal educational background on these fields, there are numerous courses available online that let you take classes for free. If you find you yourself lack of these knowledge, you might want to go back to your previous position as corporate employee. Next read: It’s Face Time: How to Prepare for a Video Job Interview? Posted in Career Advice, General, Jobs, Uncategorized. Radical advances of science and technology have become the game changers in almost every aspect of today’s modern life. Nowadays, it is not uncommon to talk to chatting bots instead of real customer service officer, or see robots employed as factory worker in manufacturing company. With the automated machine, robotics, and artificial intelligence have grown to be more sophisticated than ever, how would their existence affect the world of work and change the future of jobs? Slowly but surely, robots are taking over human’s positions in the workforce. For some industries, machines are employed to improve productivity such as in manufacturing and automotive companies, while some others are used to take care of dull administrative tasks. Additionally, robotic machines are also increasingly used to accomplish particular missions that are highly dangerous in nature, such as investigating and exploring the outer space. However, on top of helping make our life easier, experts are grappling with the question over how robots might affect the workforce. Some jobs are more vulnerable to be replaced by robots than the others. According to a recent report from consultancy firm PricewaterhouseCoopers (PwC), automated machine could take nearly four in ten (38 percent) jobs in the U.S by 2030. Across the globe, it is predicted to take 30 percent of jobs in the United Kingdom, 35 percent in Germany, and 21 percent in Japan. 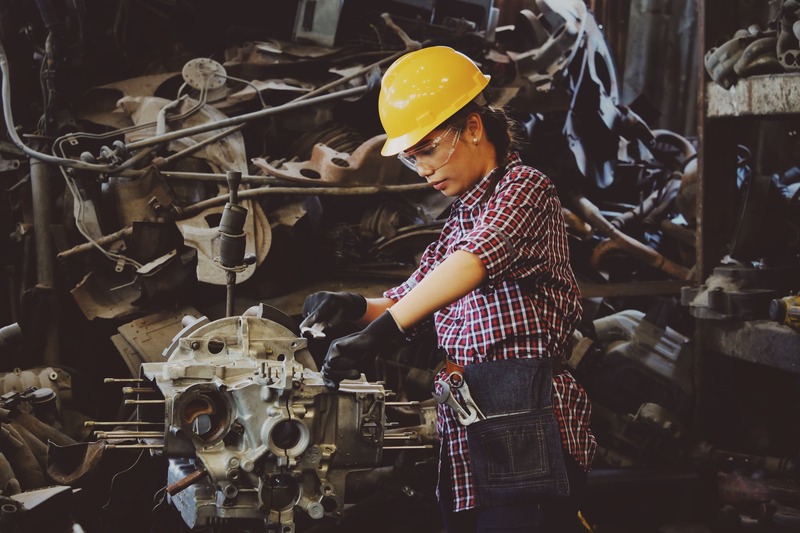 The study found that among the jobs at the greater risk of replaced by robots include those in the transportation and storage (56 percent) sectors, as well as manufacturing (46 percent) and retail (44 percent). While Millennials are known to be the most educated generation throughout history, they might not be learning the right skills to succeed in the future. Too many people are leaving school or college without learning basic skills to compete in the automated workforce. If talents want to stay relevant with current job trends, they need to stay abreast of new technology while committing themselves to learn essential skills. You can choose either be the first, or be different. Amidst today’s changing job market, creativity is a crucial element that helps you stand out from the crowd. Unleash your imagination and bring something out of the box. The ability to create something unique is something that robots cannot do. Machines only have ability to do or produce something that is uniform, monotonous, and lack of authenticity. Meanwhile, you can do more than just that, by showing your uniqueness. Most employers would agree that hiring for attitude and aptitude is way more important than hiring for skills. Rather than hiring experienced talents with rigid character, employers would be more interested in bringing in someone who demonstrates willingness to learn and is open to change. That being said, it is time for you to keep your mind open and embrace what life might bring. Article first appeared at Talentvis. Imagine a scenario where your boss delegate you to be the leader of your dream project. Despite all the time, energy, and efforts you devoted for the project, at the end of the day your supervisor still criticise it and give you negative feedbacks. Trapped in such situation, you might feel both upset and anxious. But relax! Getting negative feedbacks does not mean the end of the world. Rather than letting yourself down feeling defeated and angry, this is the right time for you to wake up and get motivated. Dealing with the fact that you get negative feedbacks despite all your efforts is not an easy thing to deal with. This becomes more difficult to cope with when you think that you have given the best performance, so such undesirable review will discourage you from striving to do bettter instead. However, getting negative feedbacks does not mean that you are a poor performer, or your career is going downhill. Everyone has their ups and downs in their job, so do you. Rather than blaming yourself (or maybe others) for the bad review, you should alter the perspective and let the criticisms sink in your mind. Manage the negative reviews the right way and it will turn you to be a better employee. It is crucial to not lose your calm when you hear a negative feedback from your boss. The first thing you have to do is take a deep breath and relax. When the feedback is delivered face-to-face, calmly wait until your supervisor finish and focus on what they are telling you. Do not build up a defensive attitude because this will only backfire you. If the feedback is delivered in written form, take some time to pause and digest the words. When you have calmed down, write your boss back and kindly say thank for the feedback. For both oral and written, ask your boss to not only provide negative feedbacks, but also the solution for your shortcomings by providing constructive ones as well. Do not be caught off guard and let your emotion mounts up, or else you will lose control of the whole situation. You might want to to defend yourself, but it is important to act sensibly by refraining yourself from doing anything excessive. If you are given an opportunity to present your reasons or refute your boss, do it politely so there will no prolonged problem in the future. Instead of showing defiance and make your boss upset, it would be tactful if you comply with them for the moment. When you have stayed calm and acted sensibly, the next step is to make a plan. When you get negative feedback, something might be wrong with your job. You are not always right, so is your boss. That being said, this is the right time for you to evaluate your working method. Make a reachable plan that will help you become a better employee. Sketch out an attainable plan that will help you achieve the goal. Observe the root problems that lead you to the negative feedbacks and see the room for improvement. Only when you know what the real problem is, you can think of the way out. Learn from the past mistakes. When you have discovered the root problems and collected the tools that will help you improve your self-development, all that is left now is how you get to make it work. You should evaluate your own performance to assess whether you have been running on the right track or not. Receiving thumbs down from your boss never comes as a pleasant experience. However, it does provide you opportunity to gauge your own quality and make improvements on it. The main hack to handle this situation is by changing your perspective and turn the negative reviews into positive ones in the future. Posted in All, Career Advice, Jobs, Salaries, Uncategorized. How to Stand Out in a Group Interview? So you have applied successfully for your dream job. After few weeks, you find an email in your inbox with the subject ‘Interview Invitation’. You open it up immediately with a happy feeling, only to be shocked reading those dreaded words: Group Interview. The solo interview can be quite unnerving in itself, how do you prepare to survive the group rounds? Different from traditional kinds of interviews (conducted especially when there are many applicants for a job role that requires working in groups and public speaking skills), group interviews require applicants to gather in a single room at the same point in time. 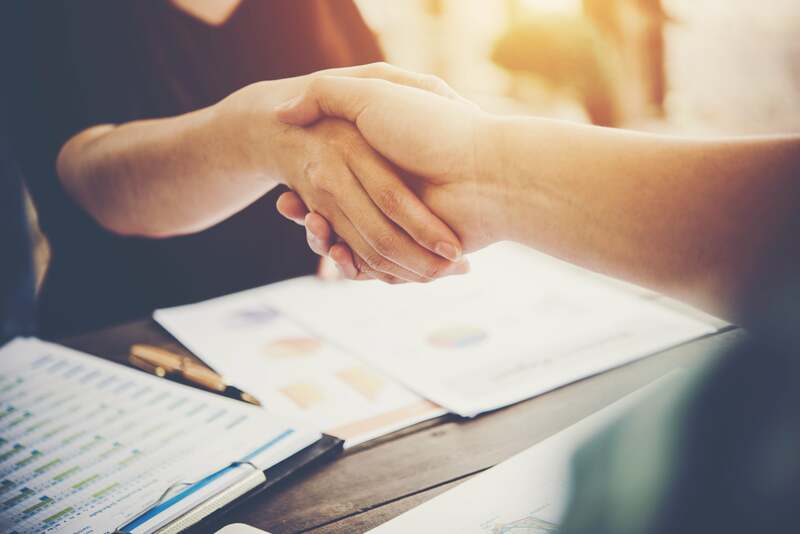 While candidates often find this as an unsettling experience, employers view this kind of job interview setting as an effective method to screen out promising talents. 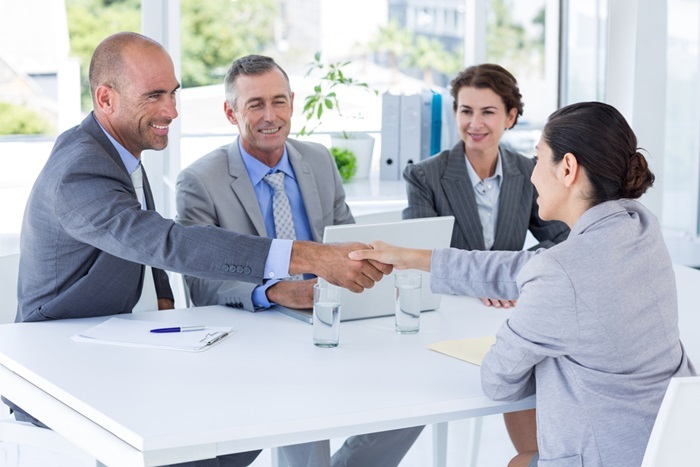 Group interviews are highly efficient when a company is keen on hiring in large numbers, for many vacant positions, in a single time-frame thus reducing costs incurred on recruitment efforts. The main goal of conducting group interviews is to test candidates’ demonstrative abilities of being able to work well in a team, be self-driven to take responsibilities for incorrect executions of the team, how they respond to each other, and if they are able to perform under pressure. By putting everyone in the same boat, employers are keen on understanding potentials of key talent and interpersonal skills. In these few allocated hours on a single working day, hiring managers are able to decide if you are a thoughtful leader, a goal-driven worker, or an ambitious employee who is willing to throw someone under the bus. First, dress up distinctively. Wearing something different will help the interviewer notice and remember you. This doesn’t mean you sport casuals for a formal setting or wear something too daring or extremes. Stick to simplicity and elegant dressing, this works well in most cases. Second, make friends with other candidates. Make sure that you come early such that you can prepare yourself. Before entering the interview room, look around and greet other candidates. Introduce yourself and have a nice chat with them. Not only will this help you relax, but it will also help build positive vibes and perhaps derive more information about the competition and competitors. Third, be a volunteer. In a large group interview, it could be difficult for interviewers to pick candidates one by one to speak up. So, they would like to see initiatives through volunteering to answer first. Use this as a chance to get noticed by the interviewer. This could be done either by raising your hand and leading the answer. Fourth, involve everyone. Remember that it is not your own interview. Even if you do know a lot about the issue discussed, draw cautious restraints from talking too much, while allowing others the opportunity to speak. Do not go overboard and overly aggressive because this can make you look like, you are putting everyone else down. Instead, showcase your good leadership and interpersonal skills, by inviting the most silent participant in the room to share their thoughts and voice their opinions on an issue. Fifth, stay focused. In a group interview when everyone is keen to express and talk fast, it becomes extremely important for you to listen carefully to what others have to say. While it is important to deliver purposeful statements, do not get too busy with your own thoughts. 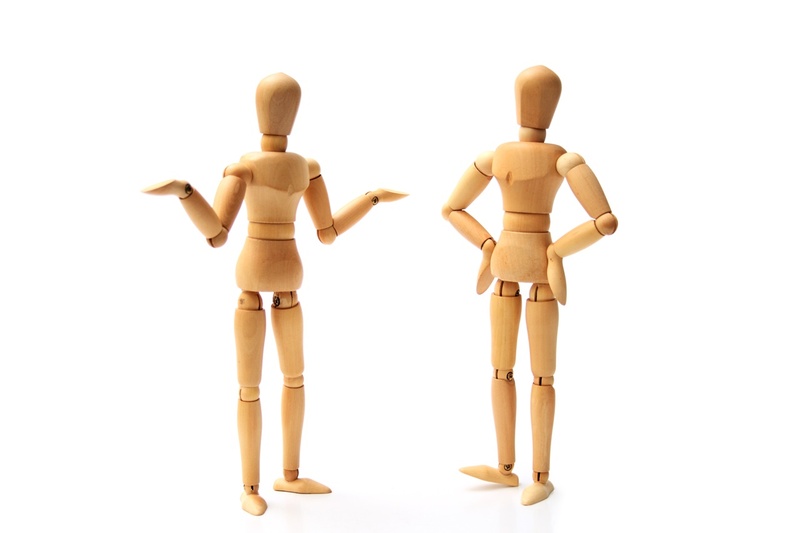 Rather, engage in the conversation and pay attention to minute details that others divulge. Write down the ideas you choose to convey for clarity in expression. So when your turn comes to speak up, you have lot more to say in brief using appropriate words. Sixth, prepare questions. There could be a point when the interviewer invites questions from candidates. Make sure that you have done your research well about the company, before coming for an interview. This could help you bring many meaningful insights and relevant questions to be posed to the interviewer for discussion. Most important advice to stand out in a group interview is practice. Be prepared for any possible situation that might arise during a group discussion, such as sometimes you might speak out of turn or the discussion might take a whole new direction leading to verbal debate. Do remember to always hold onto your stance on the issue and never let your guard down. Article first appeared in Talentvis. Have you ever caught yourself yawning after having that chicken sandwich for lunch? Or do you find it quite a struggle to get through the rest of the day without having a caffeine intake? Well, you are not alone. Blood sugar levels will rise as your body start processing your lunch. But when those levels eventually fall an hour or two afterwards, your energy levels tend to drop to its minimum point too. When this happens, it comes as no surprise that you often feel tired and sleepy. While it is natural and understandable for human body to call out a rest after awakened for seven hours, being at the workplace requires you to stay awake and efficient after lunch. What should you do to beat the sleepiness and remain productive while putting in the remaining hours? Read on the following tips on how you can minimise post-lunch dip and preserve your power through the afternoon. The way you start your morning will set the mood for your entire day. It is always a good idea to wake up early in the morning and have light exercise. Not only this will keep you healthy, such habits will help prepare your body and mind. Before going to work, you should have a proper breakfast that will give you the energy to seize the day. While you might need some heavy foods to refill your energy, you should make it as healthy as possible. Avoid unhealthy foods that contain too much oil, sugar, salts, or preservatives such as junk food. Containing lots of calories and less of nutrients, these foods will make you drowsy. Physical activity will help you stay awake because it improves blood flow and thus increases energy. The moment you catch yourself yawning, you should get up and have some light exercise. Be it some stretching on your desk or walking around your office, simple workout will wipe out your stupor and refresh up your spirit. Study has proven that listening to music can be a good productivity booster. Put on your headphone and tune in your favourite music to keep you company while completing your tasks. When one feels bored of their routine, it tends to be easier for them to get sleepy during work hours. Therefore, instead of talking only to the computer all day, it is crucial for you to get social and start a conversation with your co-workers. Take some time to catch up and engage with your colleagues, and then you can find new nerve to work on your projects. While not every company allows their employees to take nap at work, you might be able to sneak a quick 10 or 15 minutes nap during break hours. Taking power nap will help you stay focused even after lunch. 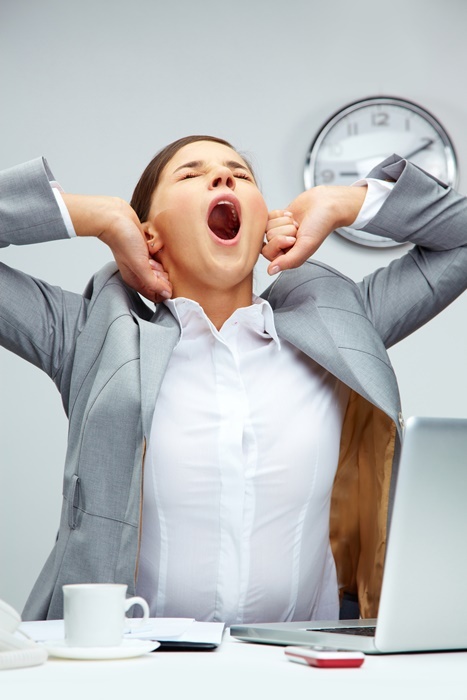 Lack of sleep often becomes the main culprit behind one’s sleepiness at work. Owing to which, you should make sure that you have healthy sleeping habit of at least seven to eight hours a night. Posted in Career Advice, Jobs, Uncategorized. 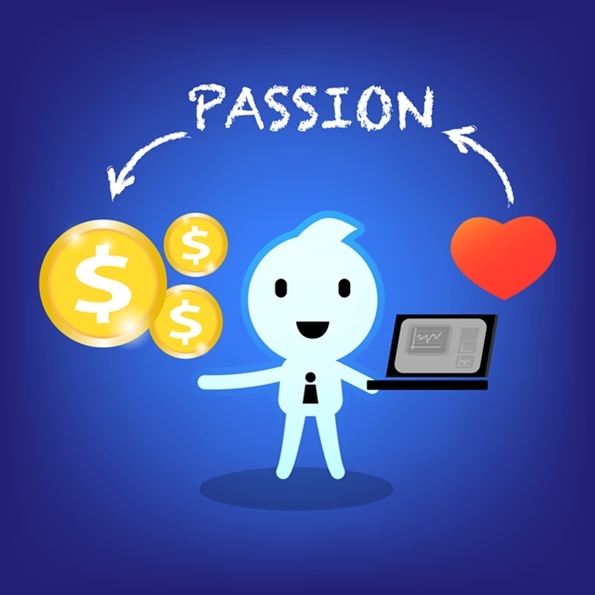 Should You Accept Low-Paying Job to Follow Your Passion? For fresh graduates who have just their education, this could be an inspiring quote that will spur on their zest to follow their passion and stay true to their idealism in pursuing a career. The problem lies in the fact that, unfortunately, sometimes in life things do not go as planned. Upon graduating from university or college, you have to prepare yourself for the ‘real world’. This is the time where you are expected to turn the theory you have learnt at school into real and impactful practices. While everyone might desire to follow their dream and land on their ideal job, not everyone gets the privilege to live up their passion. More often than not, fresh grads have to choose between pay and passion. On one hand, if they opt to work for high-paying jobs, they are required to bury their passion and just go with the flow. Meanwhile, if they decide to do what they love, they must be willing to go with minimum compensation. When you are faced with such dilemmatic options, which one is more worth pursuing? It is true that working on something you do not fancy sounds like a boring and unfavourable option. However, is it really wise to accept low-paying job for exchange of pursuing your passion either? Do you have financial responsibilities that keep you from taking the risk? If you are a fresh grad who are still single and living with your parents, this might not be a big problem. However, it will be different if you are married or live independently. You should consider whether the paycheck you receive is enough to cover you and your family’s life cost. While you might feel happy when working, financial incapacity could probably be another source of stress for you. Do you have support from people around you? Make sure that people around you such as your parents, spouse, or partner understand your passion and support your choice. Before taking the job, invite them for a discussion and ask their feedbacks about it. Moral support will be crucial if one day things do not go as planned. Are you willing to take low salary? There are times when following your passion comes with sacrifices, including your lifestyle. When you were in school and fully funded by parents, you might not have to worry about money and thus live a leisurely life. However, when you step into professional world and live independently, you should make sure whether your new job could support your lifestyle or not. Do you have a future in the job? Even if you love what you do, when you cannot see any prospects in the field, it is best to consider other options. Instead of making speculation about the future, you should come up with a concrete and attainable plan. Make sure that your dream is realistic by honing your skills in that field. Only then, there will be no remorse in the future. 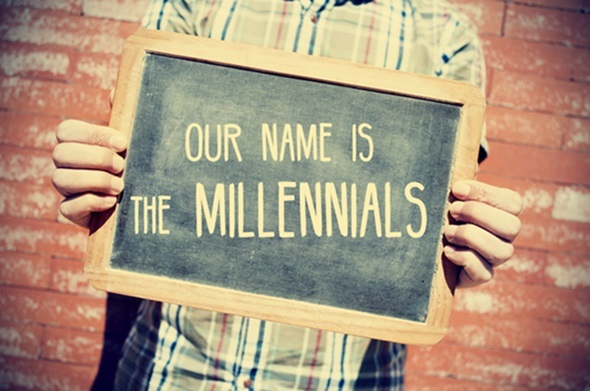 How Can MNCs Ensure Millennial Talent Retention? Building and sustaining talent pipeline remains major challenge among business leaders. Consequently, job hopping might be a nightmare for most employers. When an employee leave the team after a year or two, it means that the organisation will waste the training and development invested in the individual. Not only financial loss, employee voluntary turnover does affect the entire team morale and productivity as well. However, as daunting as it might be, Millennials might see job hopping differently from the other older generations. Recent Gallup survey finds that Millennial is the most likely generation to switch jobs, as 60 percent Millennial respondents stating that they are open to a new job opportunity while having one already. Owing to this trend, the study estimates that millennial turnover might cost the economy $30.5 billion annually. Having reputation as the least engaged generation in the workplace, how can multinational companies (MNCs) ensure their talent retention? As the first generation of digital natives, Millennials have more formal education than the previous generations, as well as mastering multitasking skills through ample exposure of media and technology. They are known for distinctive characteristics compared to Generation X and Baby Boomers, including their attitudes in the workplace. Robert Walters study reveals that 91 percent Millennials want rapid career progression. To achieve this ambition, 52 percent respondents are willing to grow their career abroad and find a fulfilling job. Competition for global talent is heating up. To win this intensifying war for the best talent, multinational companies need to come up with a well-arranged strategy. As multinationals seek to grow bigger and stronger in the global stage, they need to attract potential talents and improve employee retention. Given that Millennials are now the largest generation in the workforce, it is imperative for leaders to observe and identify the best method to attract and engage them. Good reputation and strong employer brand are must-haves for global organisations to thrive and succeed in the global talent marketplace. Having reputed and recognised brand will help you attract potential local talents who seek to scale up their career. 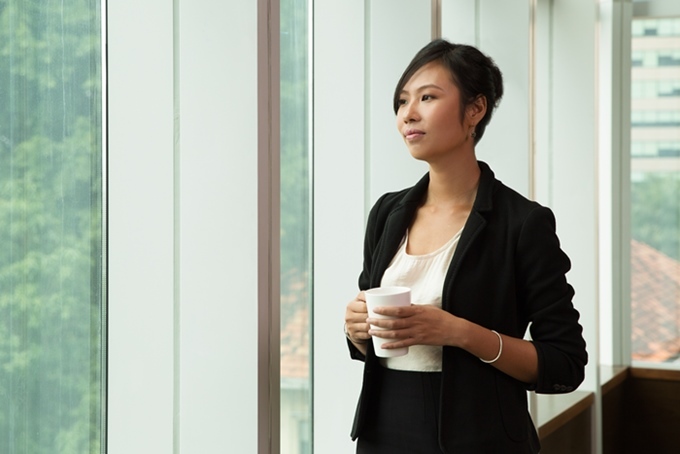 More than just a stable job and competitive salary, Millennials want career progression. According to Robert Walters study, 69 percent Millennials believe that clear path for progression in the business field is among the most important factor in keeping them engaged and motivated. As multinational companies, you need to leverage the power of new technology not only to run the business smoothly, but also to keep your top performers. For example, you can use big data and analytics to enhance employee experience and improve satisfaction. Work-life balance is among the most-sought perks for Millennials. 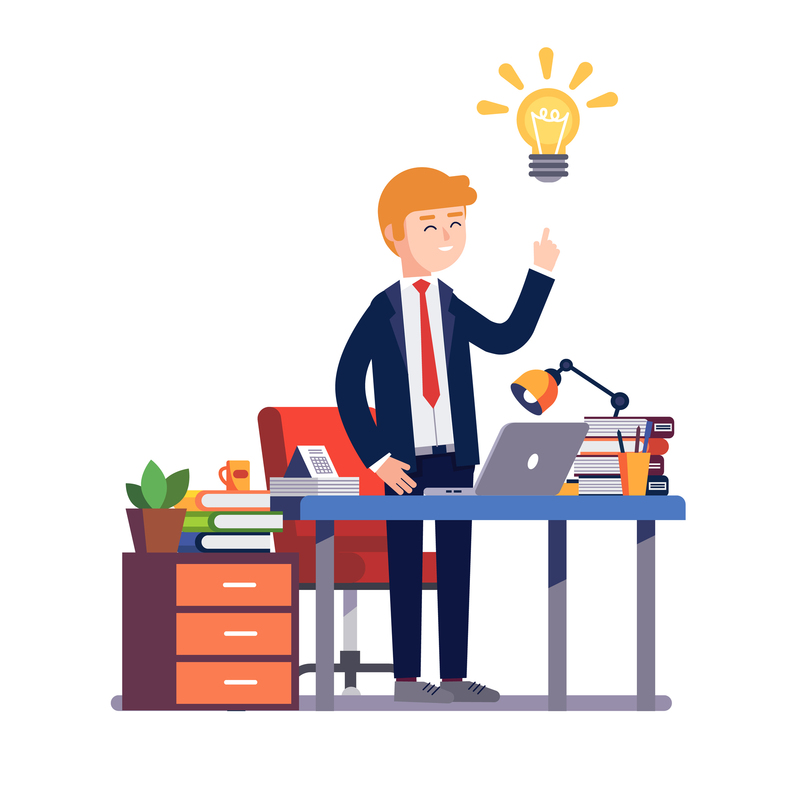 Therefore, you can offer flexible work arrangement for your employees, such as letting them arrange their own schedule, provide an option to remote working, and give them freedom to work on certain project. Through this method, your employees in branch office will not feel as if they are being mere puppets for the headquarters. Cultural and language barriers often become great challenge for both local leaders and employees. To solve this problem, you should help them develop cross-cultural understanding and improve their communication skills in interacting with each other effectively. Posted in HR/Recruiter Advice, Jobs, Uncategorized. Despite stable job and high-paying income, there are good chances that adults will face midlife crisis. At some point of life, there comes a time when you feel bored and worn-out of the tedious routines and stagnant working environments that you probably have lived for decades. Within such scenario, there comes a desire to step out of the comfort zone and try something new. Are you thinking of switching career in your mid-life? Relax, you’re not alone. 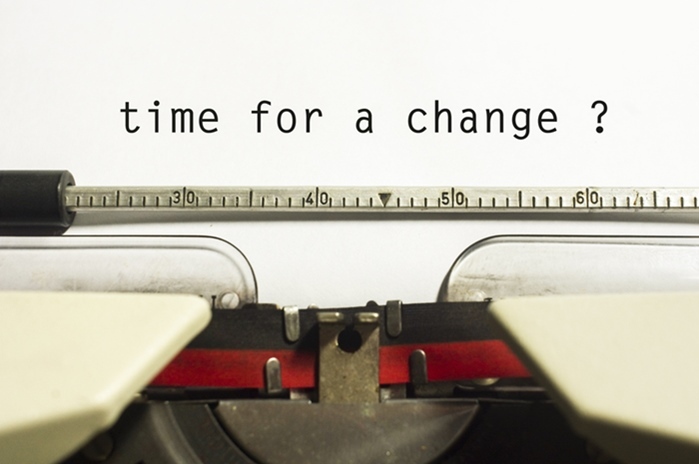 While mid-life career change might sound like an exciting idea, it can be a daunting business. It is true that you know you want to do something different and fresh. The problem lies in the fact that sometimes you are still unsure of what kind of new career you want to pursue. Do you want to follow your passion and navigate to whole new career path? Do you want to aim for better opportunities in the same industry? Or do you want to begin your journey as entrepreneur? Regardless of what you want to achieve, mid-life career is a great way to realign your career goal and life direction. Nonetheless, the decision to switch careers during mid-life does come with several obstacles. Be it resistance from family or partner, concerns over future financial security, or even the fear of failure itself, one should take everything into account before taking the risk. Owing to which, it is crucial to prepare a tangible plan before making the big decision to take the plunge. Only when you are passionate about what you are doing, you will be motivated to give your best. If previously you work at something that has nothing to do with your passion or expertise, now is the time to discover your interests. Focus on things that make you happy and turn it into valuable career. The key to excel at something is knowing your strengths and self-quality. Identify fields or skills that you are good at and learn how to translate it into potential career. For example, if you think that you enjoy interacting with people and helping them, you might want to move from working behind the desk to the front desk. What do you want to achieve for your future career? Before making any career moves, it is important to always understand your priorities first. Make thorough consideration and list out your priorities in life. This method will help determine what steps you should take next. There is nothing wrong with dreaming high. However, you should always make it realistic and reachable. Rather than taking all the risk only to find failure and sorrow, it would be better to aim realistic goals and enjoy the happiness it brings when you succeed. Switching careers mid-life could threaten your financial condition, when you are unable to handle it carefully. Therefore, before jumping into decision, you should set a financial plan to ensure that everything is under control while you are on the job search. Next read: Pathways to Success: What Type of Jobseeker Are You?